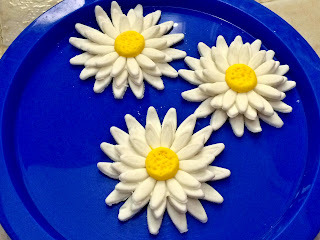 Having always bought ready made marshmallow fondant, imagine my surprise when I found out just how easy it was to make my own. One of my closest friends makes the most beautiful and creative cakes and we commission her whenever we need a cake for a shower or birthday. Its just a hobby at the moment, but I really hope that one day she turns it into a home business. Anyway, one day we demanded a class (yes, everything is available on YouTube, but we're a lazy bunch) and learned how to make our own homemade marshmallow fondant. I have to tell you, we've been hooked ever since. Every time a birthday comes along, our creative juices start to flow and we try to outdo each other. Ha! Of course, we're all amateurs, but its still nice to be able to look at something proudly and say I did that! My oldest daughter's birthday was last month (Happy Birthday A!) and this is the cake I made for her. 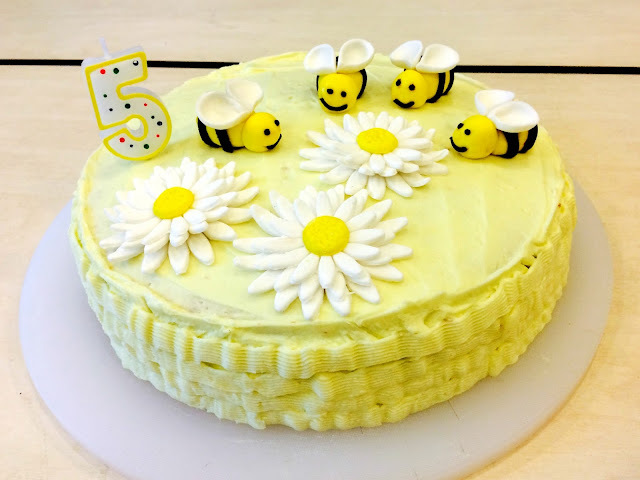 Its just a simple butter cake (recipe here) covered in a buttercream frosting with fondant bumblebees and flowers. I get asked a lot how to make my own fondant so I thought I'd share my friend's recipe here. It seriously is easy and it certainly tastes a lot better than the commercial ready made crap that all the bakeries use. Place the marshmallows and water into a microwave safe bowl. Microwave on high for 30 second bursts, stirring well in between, until the marshmallows are melted. On a clean and greased surface (or a baking mat, I use this one from IKEA), fold the melted marshmallow mixture into the sifted icing sugar. Keep kneading for about 10 minutes adding more icing sugar if needed, until you get a firm smooth elastic ball that will stretch without tearing. Be warned, the mixture will be quite sticky and you will feel like this is an impossible task, but keep at it. At this point, add colouring to the fondant. I always recommend using gel colours, as you will get gorgeous vibrant colours without altering the consistency of the fondant (I use the Wilton brand and they're available at Tavola). Add a little at a time, until you get the shade you desire. Remember, you can always go darker. 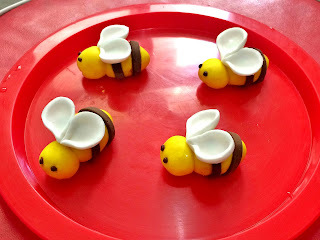 You can make the fondant ahead of time and it will keep for several weeks in the fridge. To store the fondant, apply a thin layer of butter all over the fondant and then wrap well in cling film. I then keep the fondant in a zip-lock bag or an air-tight container. When you're ready to use the fondant, take it out of the fridge and knead well until it is soft and pliable. To make things easier, you can also microwave the fondant for 10 seconds in the microwave. Have fun and get the kids involved. Granted, if they're anything like mine, there will be more fondant in their bellies than on the cake, but hey, its all fun! It looks really yummy too! Hey, it sure was, disappeared within a few minutes! Thanks for stopping by. Awwwh, thanks so much. My daughter was so chuffed when she saw the bumblebees. Still an amateur, but I try. wow, amazing cake! 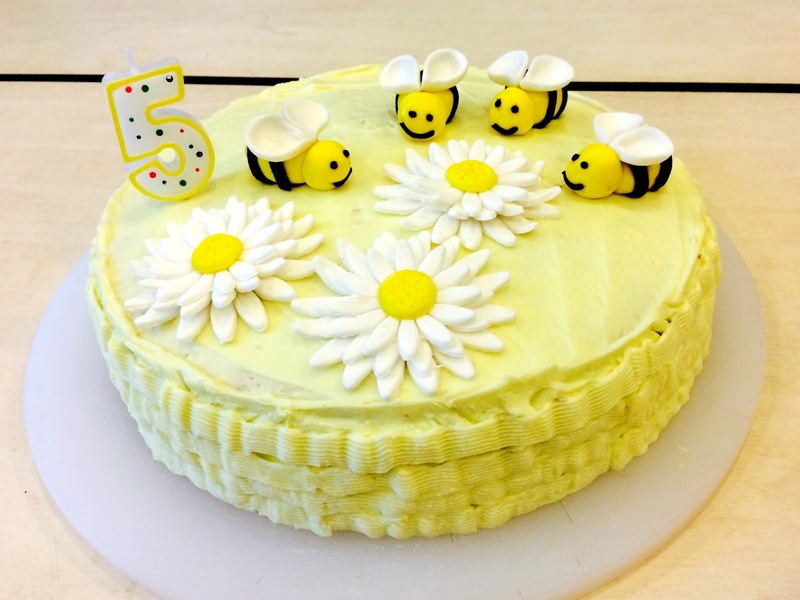 So sweet the little bees on it!! ;) good work! Thanks! This is my first time trying my hand at modeling fondant into something instead of just using cutters. Quite proud of myself, haha!